Lee LaFrese is a Senior Storage Performance Consultant at IntelliMagic. He has deep knowledge about z/OS and SAN storage architecture and is a recognized industry expert in storage performance modeling. His focus at IntelliMagic is to investigate thorny performance issues that customers may face and recommend practical solutions. He also shows customers how to use our products effectively, assists with capacity planning and works with developers to identify and implement new, high-value features and functions. Lee is a frequent conference speaker and has written several entertaining blogs about storage performance. 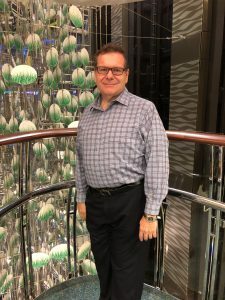 He holds eight storage related patents and before joining IntelliMagic he had a 30+ year career at IBM where he was the technical team lead for Enterprise Storage Performance. Clogged Device Drain? Use Your Data Snake! Have you ever run into high I/O response times that simply defy explanation and can’t find a reason why performance is degraded. It could be a classic “slow drain device” condition. New storage technologies are quickly maturing and replacing legacy platforms. But will they be mature enough to meet your high availability, high performance IT infrastructure needs? Benchmarks are perceived as a great way to quantify ‘feeds and speeds’ of storage hardware but they can be deceptive. While most mainframe shops have explored how to reduce mainframe software costs, we are finding significant latent savings opportunities still exist at even the best run sites. This blog demonstrates how computer system performance modeling is done, specifically for disk storage systems. Does everybody know what time it is? Tool Time! IntelliMagic Vision is vendor neutral and handles storage from all the z/OS storage vendors with similar functionality. Do SSDs Make Storage Performance a Lost Art? Although SSDs provide many benefits, IntelliMagic Vision can help find and eliminate performance risk in your storage environment. IntelliMagic Vision provides deep insight and analysis tools to help avoid getting overloaded with meaningless alerts. IntelliMagic Vision provides you with the tools to keep a careful eye on the performance of your Enterprise Storage arrays including any SSDs that may be installed. Recently a situation occurred at one of our cloud services customers that was a real head-scratcher. One of the disk storage systems saw a sudden jump in CONNECT time. What had changed? Estimating Storage System Capabilities Should not be a Risky Business! If you want a useful headroom metric you need to define it properly. How Can I Tell if My Back-End Drives Are Overloaded? This case study shows how IntelliMagic Vision may be used to easily find the root cause of a z/OS performance issue related to overloaded back-end drives.